On December 2, 1929, the first fossil hominin skullcap of Homo erectus pekinensis - an example of Homo erectus - estimated to be up to half a million years old, was discovered during excavations at Zhoukoudian, 40 km southwest of Beijing. The excavations uncovered a total of 200 fossils from more than 40 individual specimens, including six skullcaps, before coming to an abrupt end in 1937 with the Japanese invasion. The fossils were then placed in a safe at Peking Union Medical College, before being packed up in 1941 to be sent to the American Museum of Natural History in New York for safekeeping. However, they mysteriously vanished en route to the northern port of Qinhuangdao. Theories as to their fate abound. Some believe they were sold to apothecary shops and ground up for traditional medicine as ‘dragon bones,’ others that they were captured by the Japanese and sank with the ship Awa Maru in 1945. In 1972, an American woman claimed to have a box full of skulls that her husband brought home after the war. She met with a US broker on top of the Empire State Building demanding US$500,000 for them, showed him a photo of the box… and then disappeared. 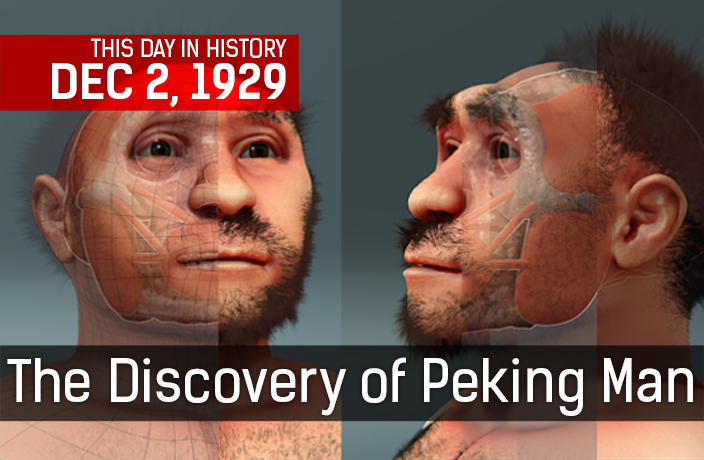 To this day, Pei’s Peking Man remains one of science's most important missing persons.